A new year has begun and I wanted to escape for a few days. So it was time to search some suitable flights and hotels in Europe and finally I decided for the Portuguese capital. The reason for my decision was, in addition to the optimal weather forecast and the proximity to the sea, especially the low costs in Portugal. Due to the beautiful sides of the city, in retrospect I can say that I´ve visited the most beautiful European city I´ve ever been! 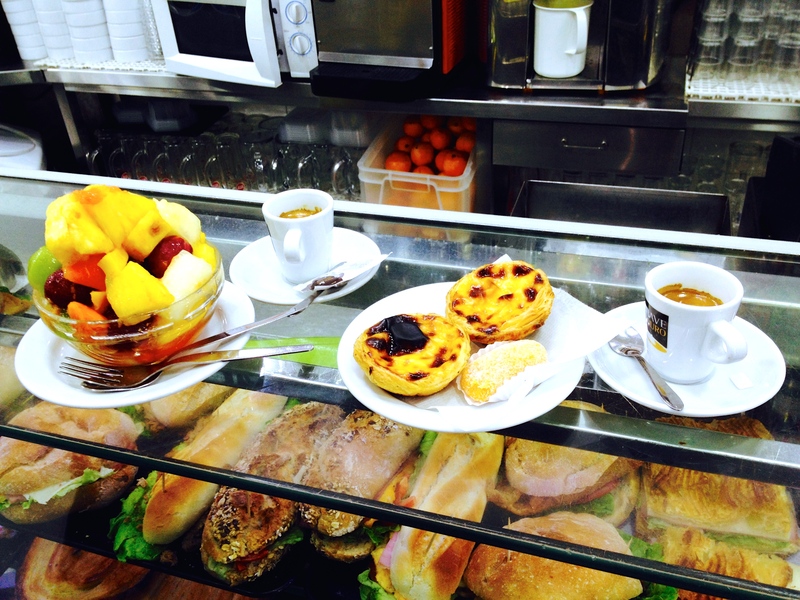 Eat Pastel de Nata and drink Bica – Portuguese lifestyle at it´s best! 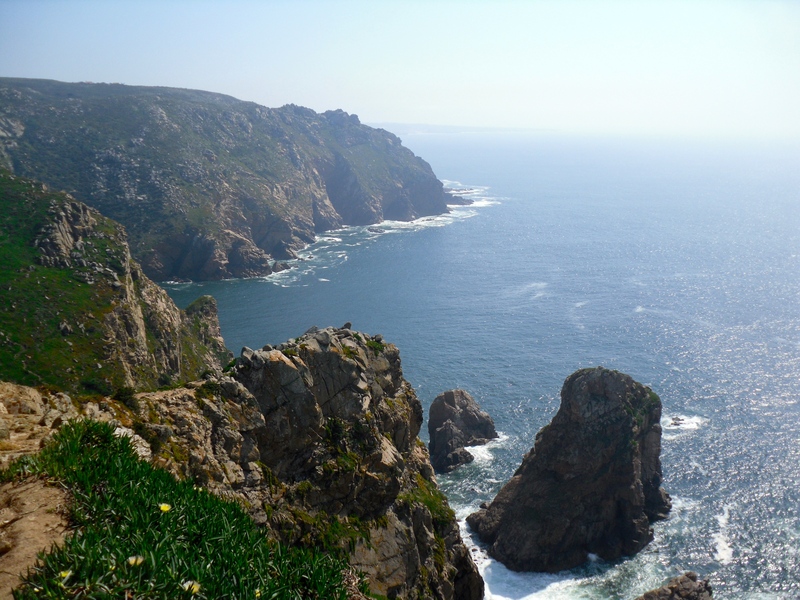 Visit the Cabo da Roca – unforgettable! 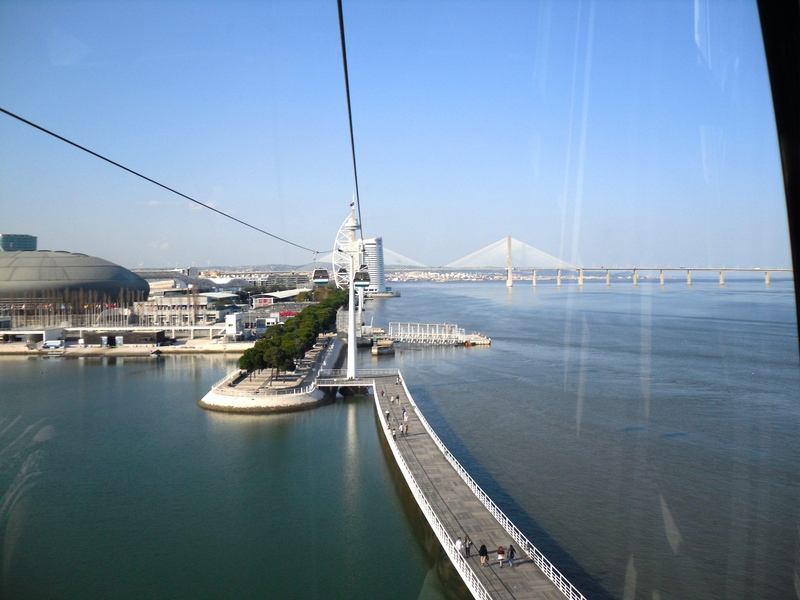 Take a dinner at the Restaurante Ibo – excellent food right next to the Tejo! Spend one night in the Bairro Alto – the life there awakes after the sunset and reveal its unique atmosphere! 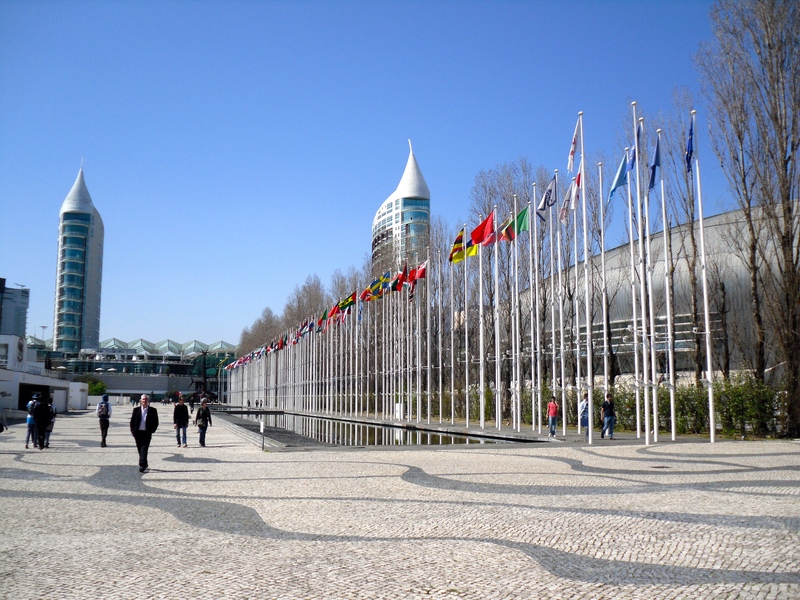 Enjoy a day at the Expo area – the modern part of Lisbon! 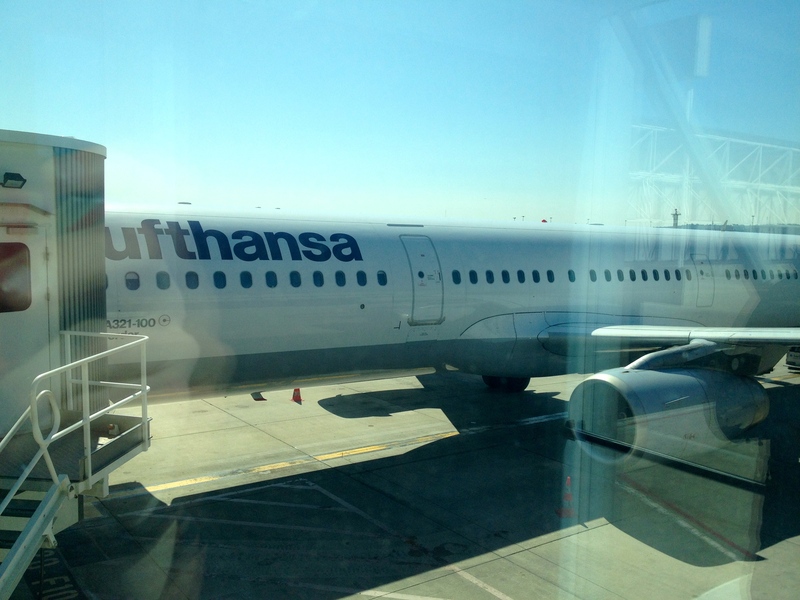 Lufthansa operated the 3,5 hours flight by the Airbus A321. 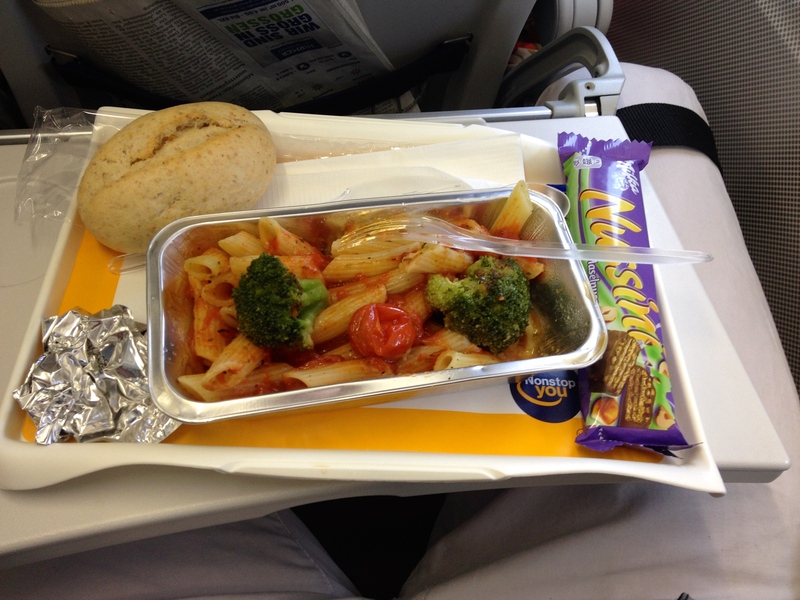 As I´m used to it, the Lufthansa meal was really tasty, the seat pitch good and the flights without any turbulences. 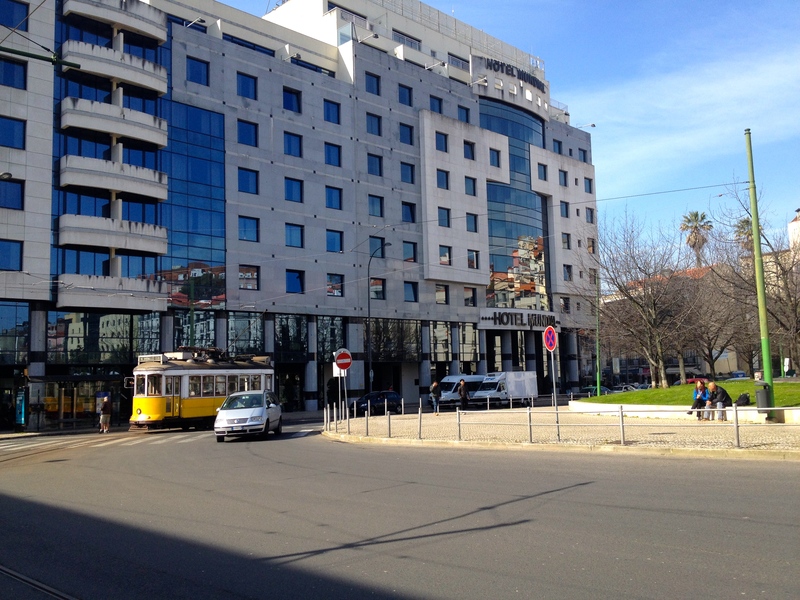 The booked Hotel Mundial is directly located at the well-maintained square „Martim Moniz“. and the center of Lisbon is reachable in about 3 minutes by foot. Right outside the hotel there is a tram stop, from where you can explore the city in one of the Electricos (also the well-known line 28). 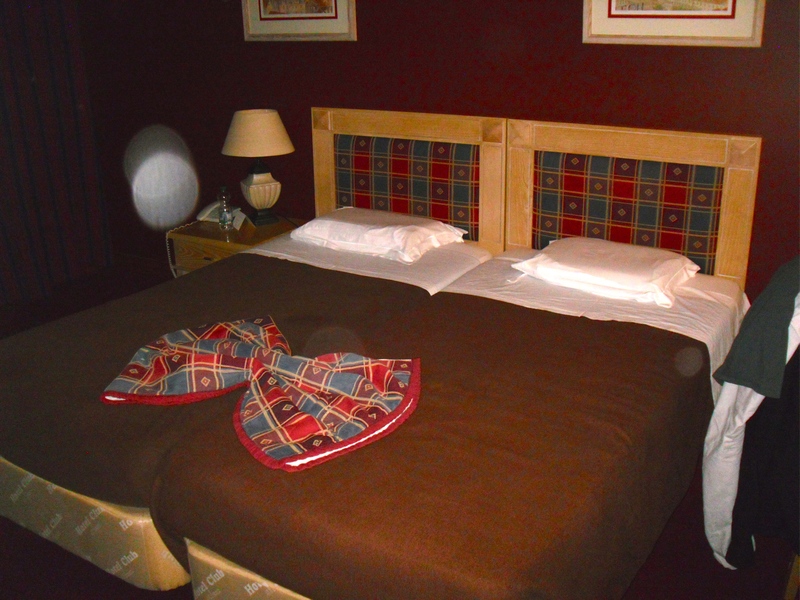 Even the rooms convinced with its size and the cleanliness and the hotel is a good choice for a stay in Lisbon! 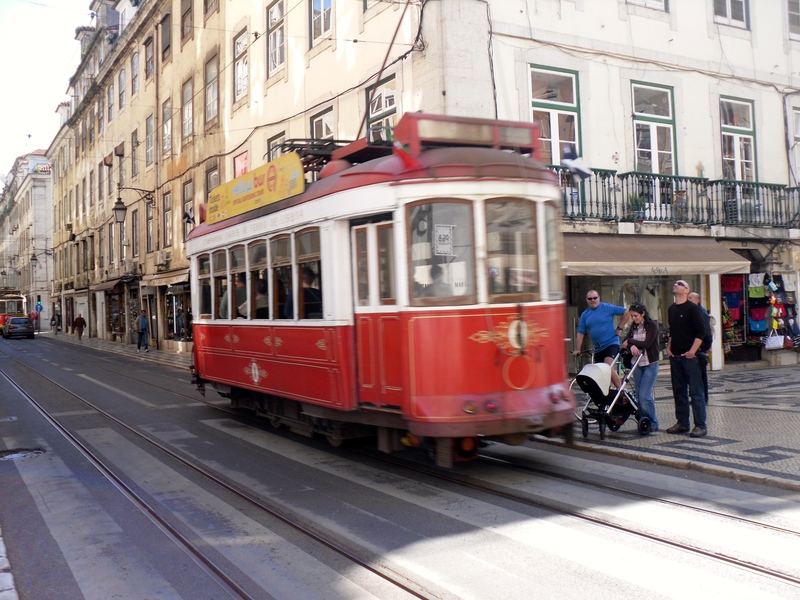 However, the life in Lisbon generally takes place outdoors and many exciting corners can be found everywhere. 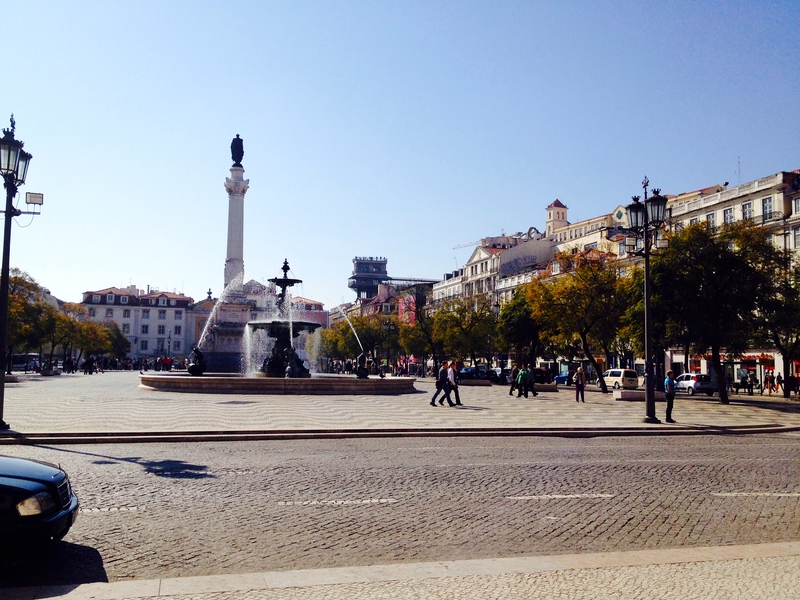 At the backside of the hotel, the large square Rossio immediately put me in holiday mood. 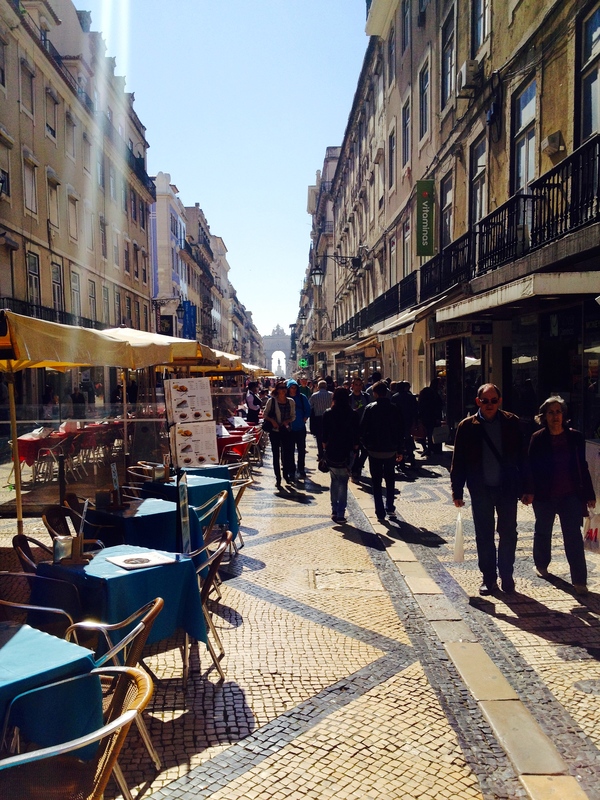 … the famous pedestrian zone and shopping street Rua Augusta. Just stroll along and enjoy the busy life in a beautiful atmosphere! Many restaurants and small cafes are lined up at the fabous white cobblestomes. 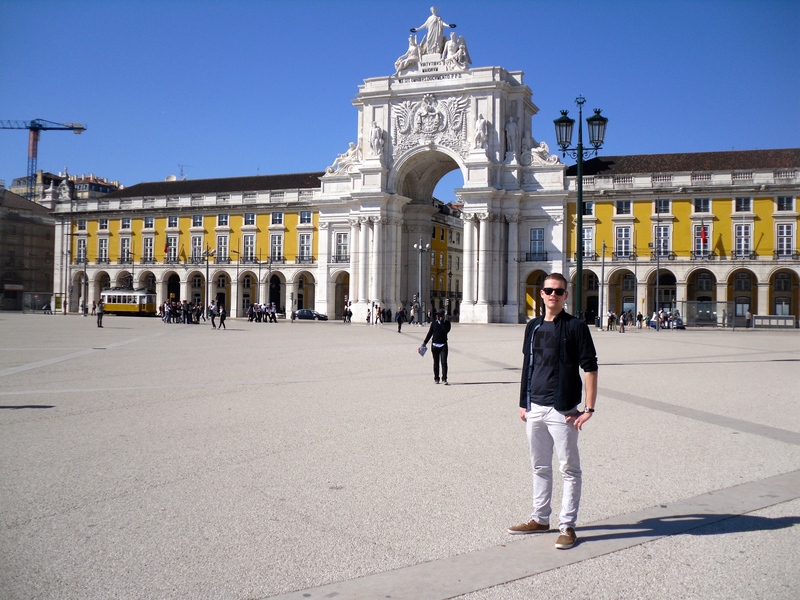 … and finally you reach one of my favourite places in whole Lisbon – the Praca do Comercio. In the background the bustle of the city and in front of you the glittering Tejo river – just beautiful and holiday in the city can´t almost be better. Just sit down on one of the benches and enjoy some warm Pastel de Nata. So great! Golden Gate Bridge and seemed quiet majestic to me. As I said, the atmosphere here is quiet hard to put into words. You have to feel it on your own! Pastel de Nata. And yes – the warm, cream-filled puff-pastry temptations are incredibly delicious. 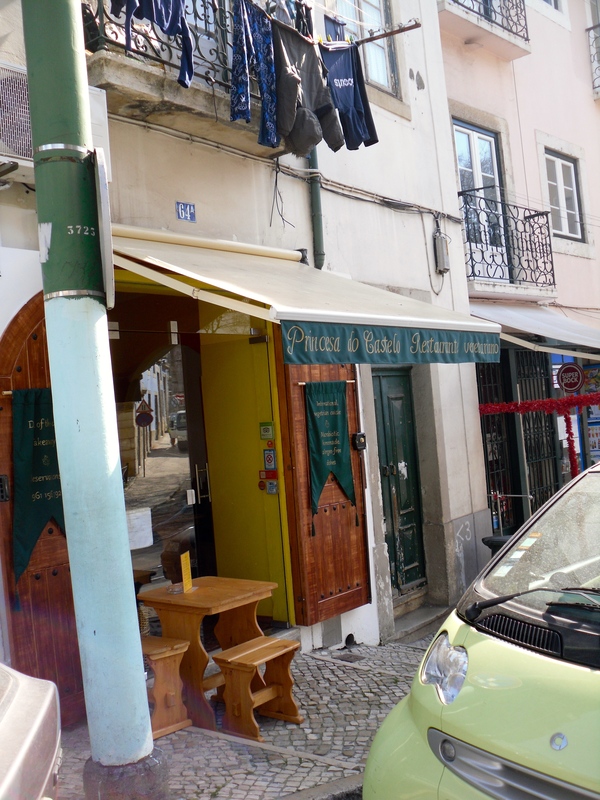 The snack was quiet cheap, as well: 1,- € for the Pastel de Nata and 0.50 € for the Bica! Just walk along the paths off the main roads and choose a café. 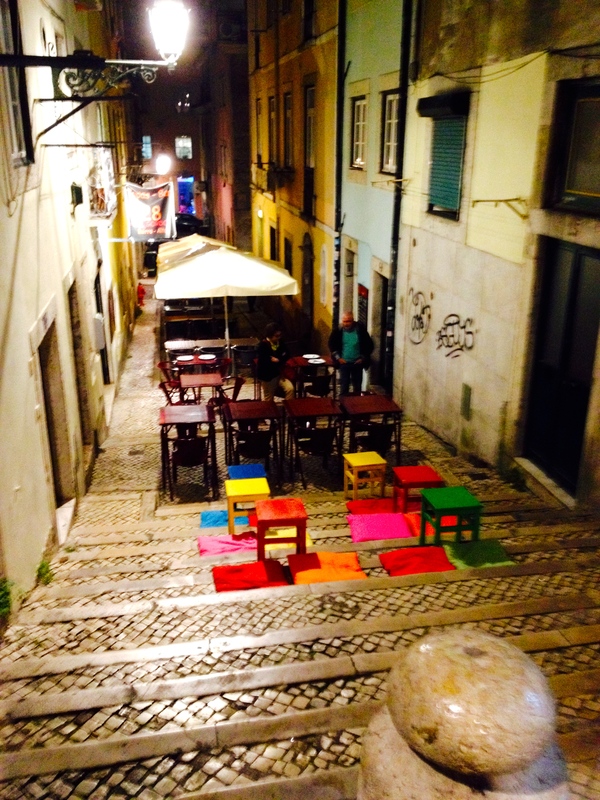 The nightlife of Lisbon has to be spent in Bairro Alto! During the day it´s quiet a silent area with closed shutters – the life here awakes from 10 pm. 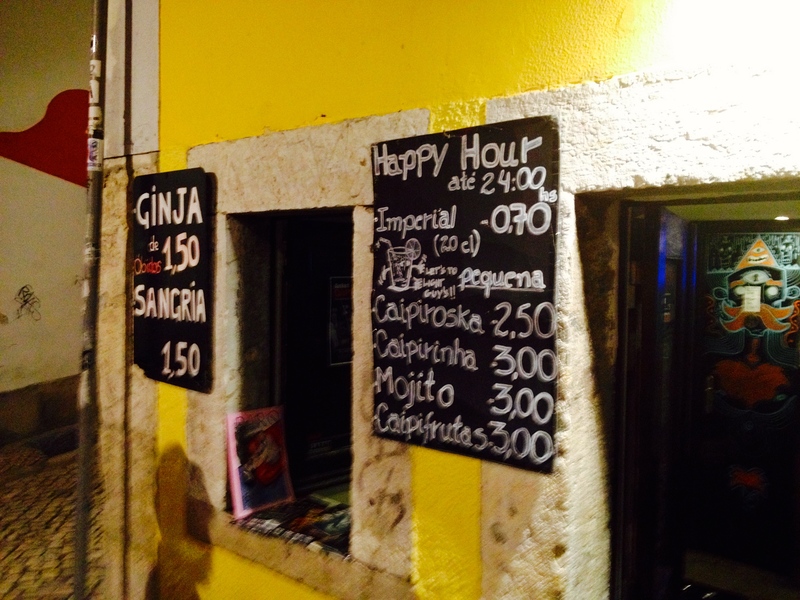 Many small bars with even smaller prices, delicious cocktails and traditional fado bars are lined up here. Even during the week the mixed audience spend their evenings here. 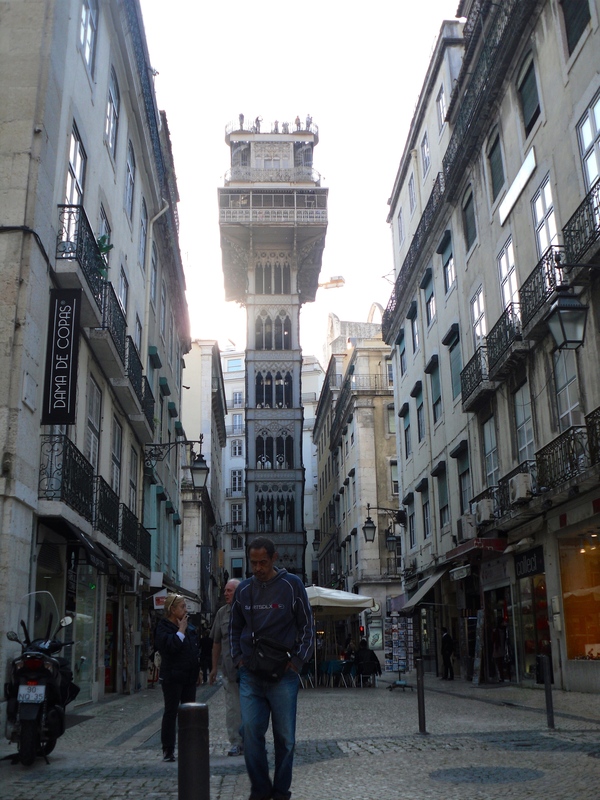 The elevator Elevador de Santa Justa connects the two districts Baica and Chiado and offers the best view over Lisbon. 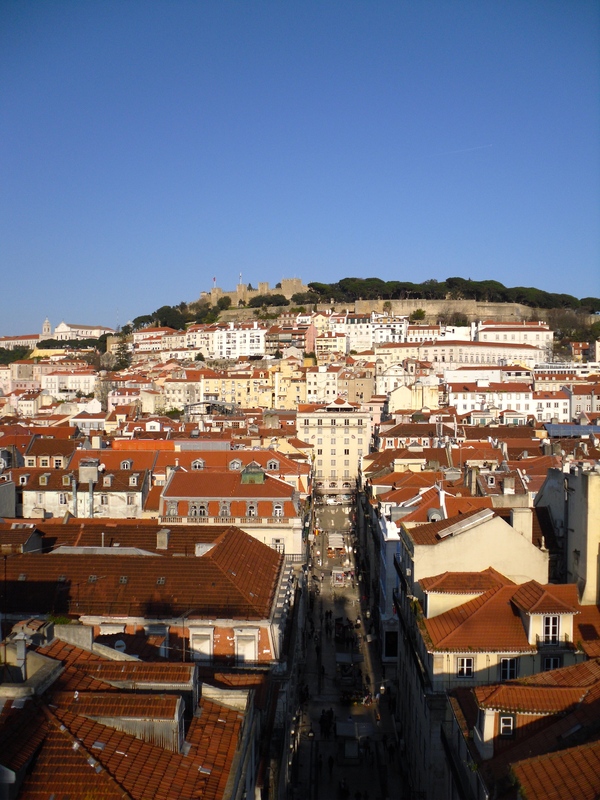 The view to the Castelo de Sao Jorge and the entire town is beautiful. 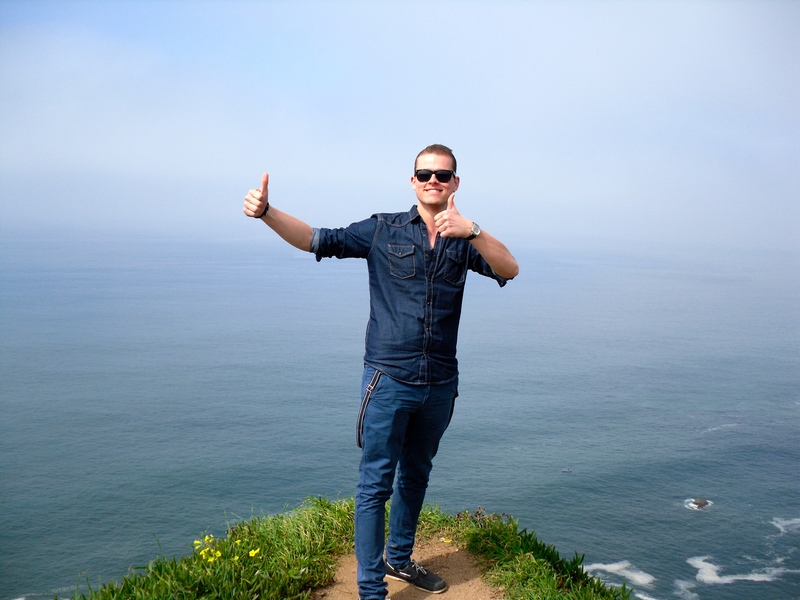 My personal highlight of the whole trip to Portugal was the visit of the westernmost point of the European continent – the Cabo da Roca. The train from Lisbon to Cascais takes about 30 minutes. 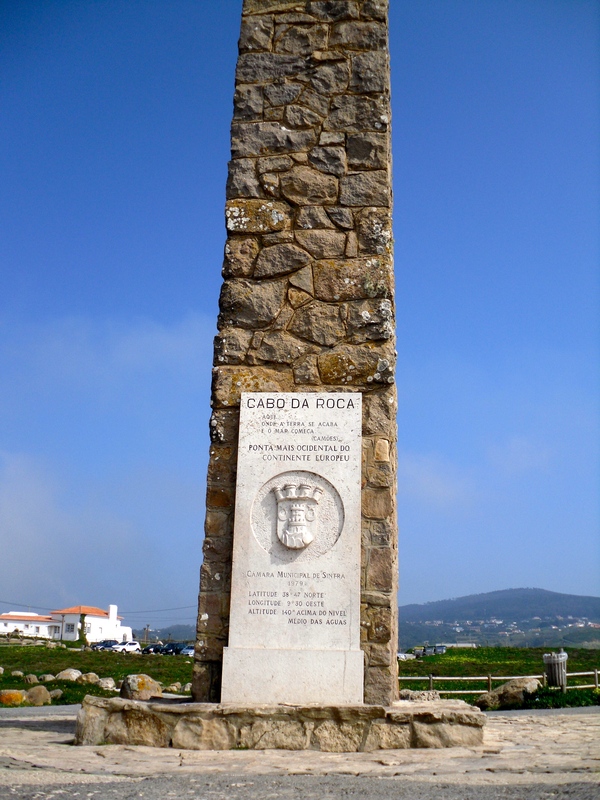 From there, the bus takes you directly to the cape, which is part of the district of Sintra. During the journey, the bus screwed up -hard puffing- 140 meters and offers beautiful views. „Where the land ends and the sea begins“ is written in the stone table. No better words to describe it! Fascinating, stunning and absolutely unique are the synonyms that can describe the view towards America, which is covered by deep fog. Just wow! 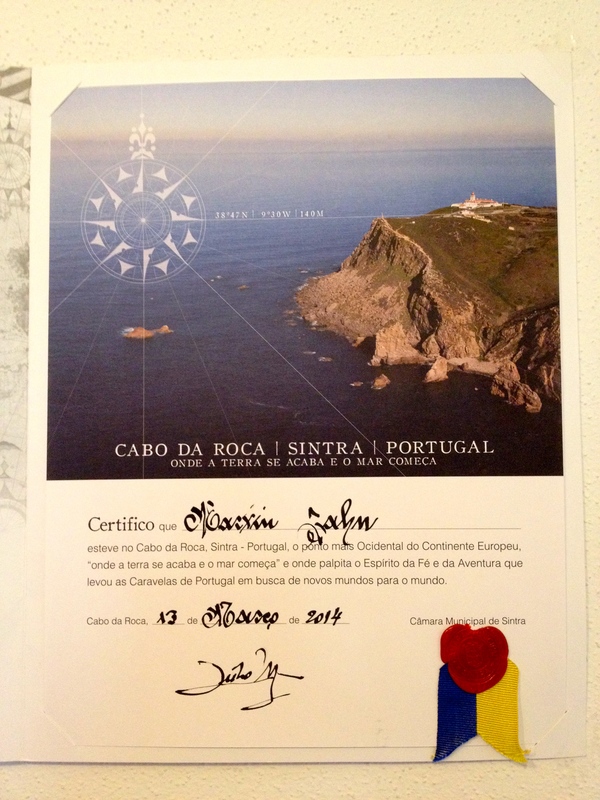 You can get the visit at Cabo da Roca certified for a small fee at the local tourism office. A great idea. 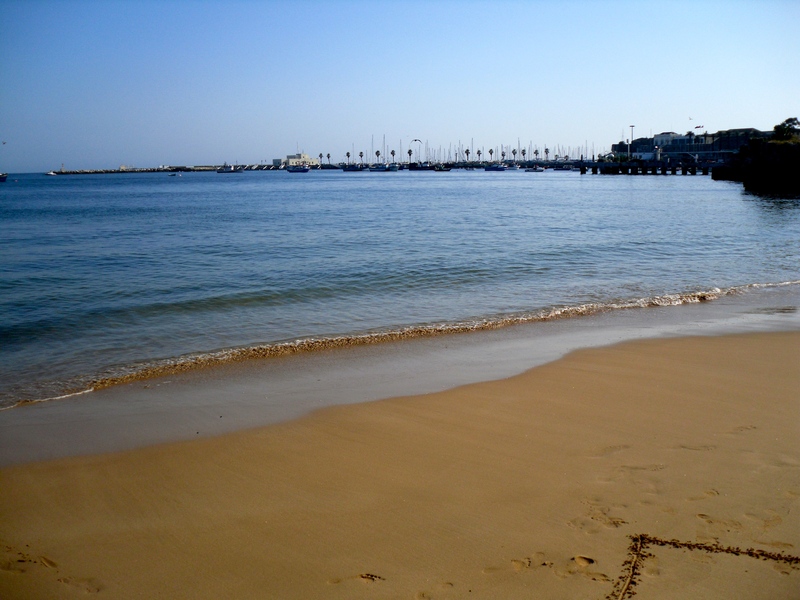 On my way back, the nice beach in Cascais invited me to stay there for 2 hours. In addition, the train station is just 5 minutes away from here. 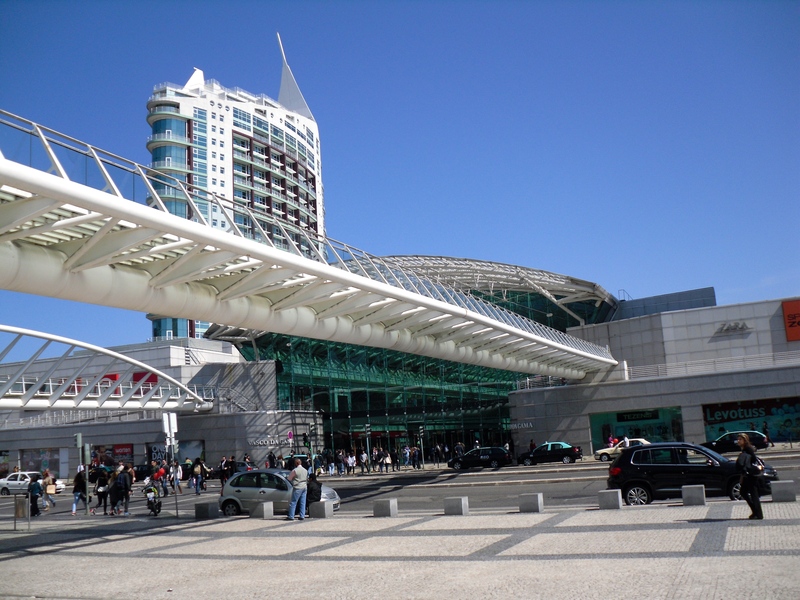 The Expo-area of Lisbon is easily to rech through the metro station Oriente. The modern shopping center Vasco da Gama is also worth a visit. It´s roof is constantly watered, so it doesn´t heat up too strong. As I´ve visited the Vasco da Gama, countless gulls sat on the roof. From below, such a great eye-catcher! Spending a whole day at the modern part of Lisbon is definitely no problem. 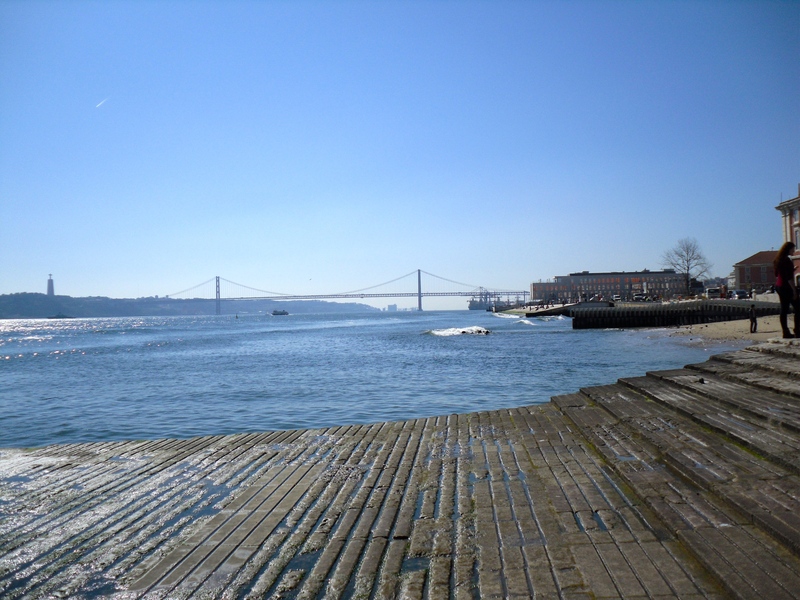 The entire area is beautifully designed, maintained and many restaurants and cafes are lined up the paths along the Tejo river. 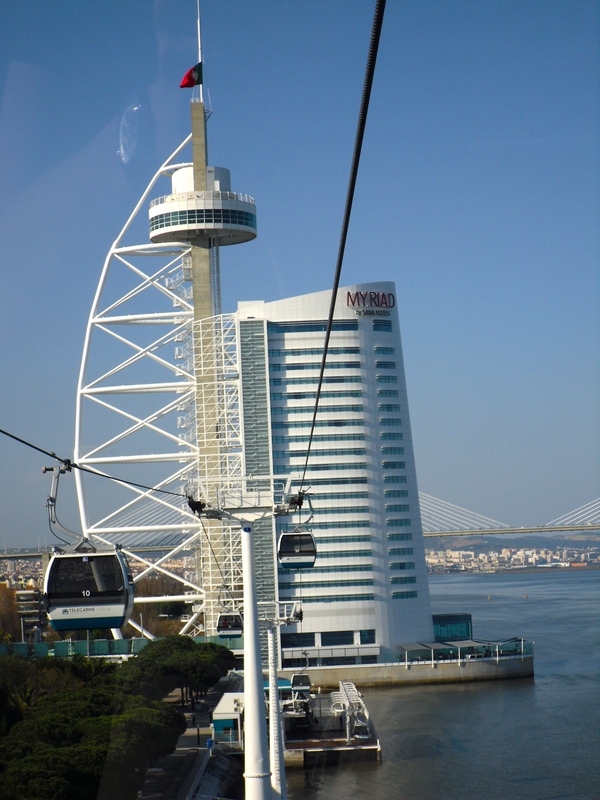 A ride on the cable car is the best way to see the huge dimensions of this area. The longest bridge in Europe, the Ponte Vasco da Gama (more than 17 kilometers! 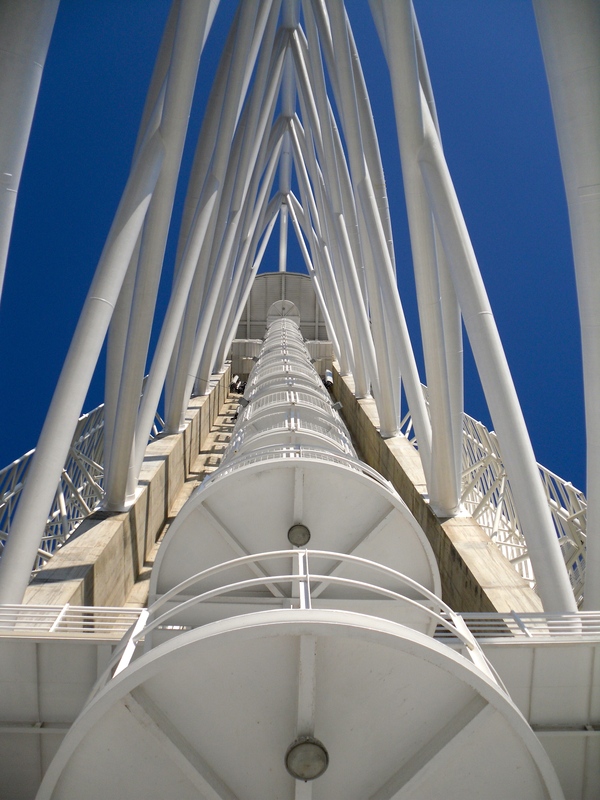 ), can be seen from the top, as well. … it acts absolutely sunning from every perspective! 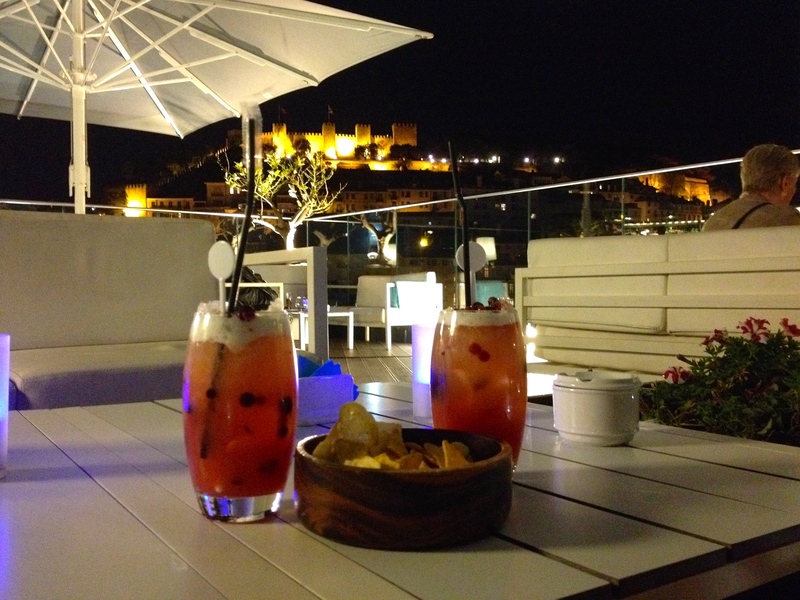 … and a delicious cocktail on the rooftop bar of my hotel, it was time to get back to cold Munich. 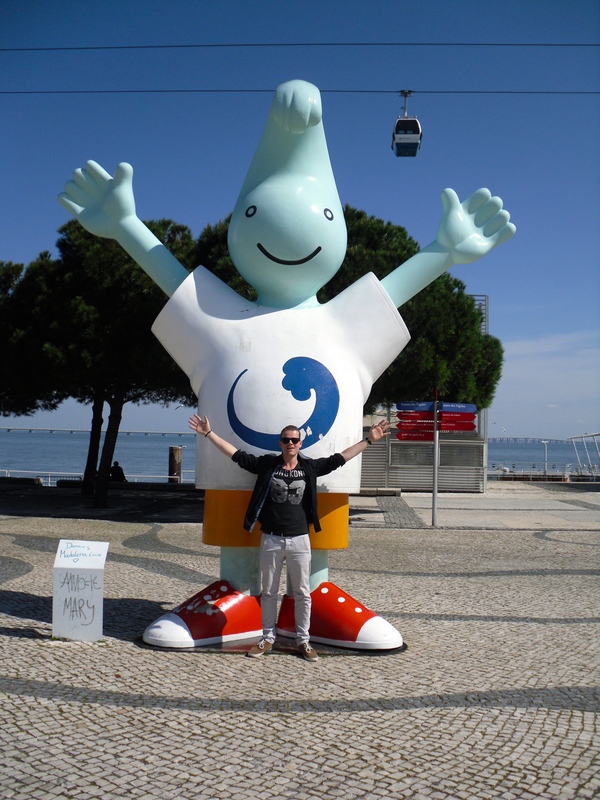 Lisbon has captivated me with its warm-hearted charme and the varied surroundings. To defend yourself? Absolutely impossible! So it won´t take too much time for coming back to Portugal.